Solaricorp is the supplier of the new TFT-LCD based passenger information displays to the New York City Transit Authority. This technology has replaced the older LED based signs seen at many transit systems throughout the world. This new technology allow for video clips and safety messages to be played along with the traditional count down clock train information seen nearly throughout the transit system. 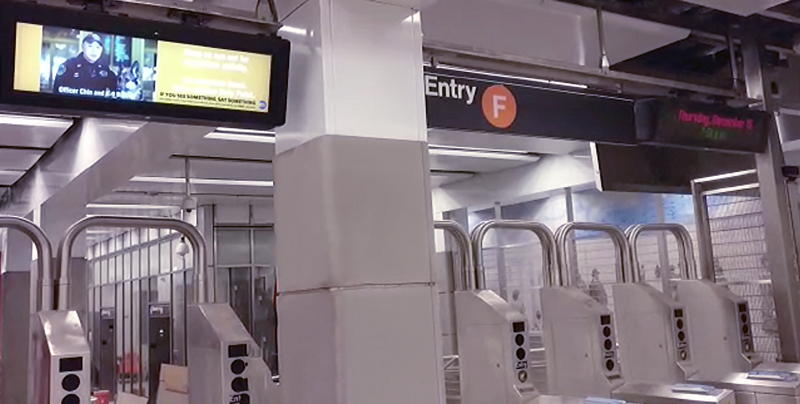 Solaricorp supplied the signage for the recently opened 2nd Avenue Subway which is the newest subway line for the New York City Transit Authority. This new line was proposed nearly a 100 years ago but due to various economic conditions over the years the project was restarted in earnest about 10 years ago. The Second Avenue Subway reduces overcrowding and delays on the Lexington Avenue line, improving travel for both city and suburban commuters, and provides better access to mass transit for residents of the far East Side of Manhattan. The line is being built in phases; the first phase of the Second Avenue Subway provides service from 96th St. to 63rd St. as an extension of the Q Line train. Travel time reduced by 10 minutes or more for many riders traveling from the Upper East Side. That of Solari is a story of generations, 300 years long: born in 1725 in Pesariis, a small town in the mountains of Carnia Friuli. A story of beauty, talent and creativity: it was 1956 when Remigio Solari invented the mechanical flip display system… and 10 years later Gino Valle created the new roller with horizontal leaves.Since then that roller is the stylistic characteristic of the company. Today, you can purchase the iconical clocks Cifra 3 and Dator 60, via the all-new online store: store.solarilineadesign.com. Solari di Udine is the time company: the time of a person, the time of a traveler and of large-scale transport, the time of intelligent cities, the time to serve the community and improve the quality of life. 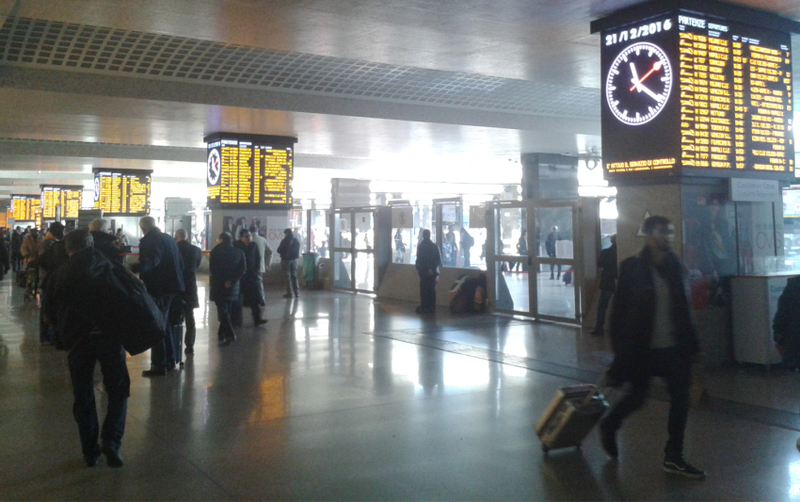 With the design and production entirely Made in Italy, Solari continues to mark the history of time, industrial clock-making, information display systems for the public, the management of stay areas at the major international hubs. 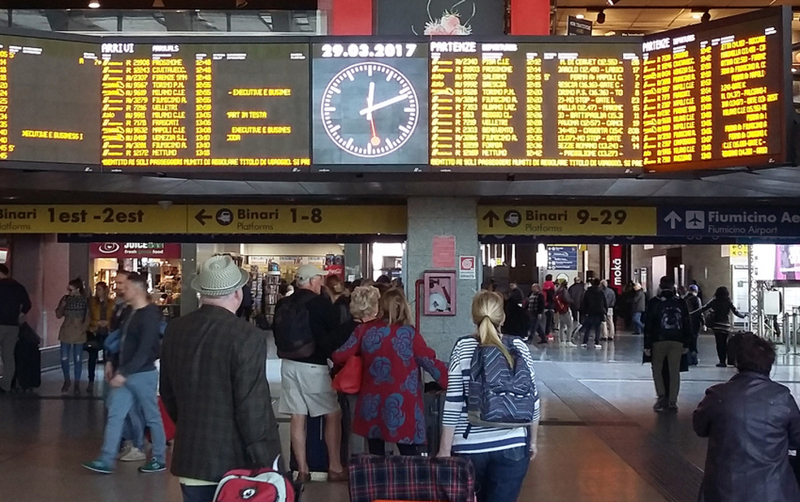 Solari has currently installed about 3,000 systems of various types worldwide (airports, railways, motorways, public information etc. ), which conﬁrms its outright leadership position on the international market. Is estimated that, with his systems installed worldwide, Solari moves 5 billions of people annually. SOLARI KEEPS THE WORLD MOVING! Solari Corp is part of the Solari Group; it is a wholly owned subsidiary of SOLARI DI UDINE SPA, established in 2005. Solari operates inside the USA market since the early years of 60s, for example with the renowned split-flap display, supplied in 1962 for the TWA Terminal inside the JFK Airport of New York, or with the display systems for ABC New York during the American Presidential election in 1964 and 1968. In January 1966 was established the Solari America Inc. (SAI), appointing Joseph Malady as chief of the Company; this is a demonstration of the culture of Solari, who believes in the power of local collaborators. 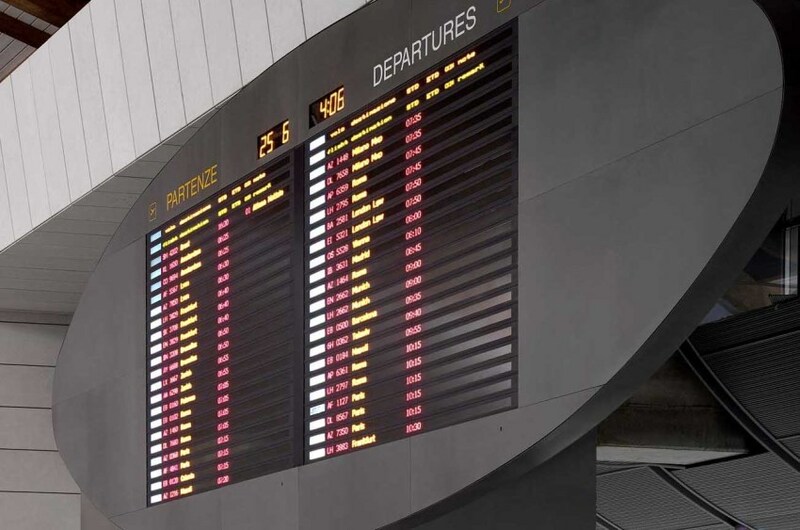 For over 20 years, Solari America Inc. has worked in the market of Public transportation and of industrial clocks with clients such Port Authority, for the restoration of the public information display for Kansas City or Chicago Airports. In addition, Solari has achieved to be featured inside the Museum of Modern Art of New York, that has included the Cifra 3 - designed by Gino Valle with lettering by Massimo Vignellii - inside his permanent collection. In 1982, after the Solari Udine’s Company restoration, Solari America subsidiary was closed, entrusting the activities to CDS, Company that was founded by an ex collaborator: Frank Klich, who was first a Technical Director and then an Operative Director. The partnership keep on with great rewards until the 2005, when Frank Klich decided to retire. Whereupon Solari Udine founded Solari Corp, hiring the CDS’s collaborators to take care of the works into the American market, pursuing the historical spirit of the Company: be actively attended inside the local market. During the firsts years, the American Company worked to ensure the selling of the last technologies, and to keep high the customer care services for the historical clients such LIRR, New Jersey City Transit, Trimet, MTA, Metro North, MBTA Boston, etc. Nowadays Solari Corp has a little production line, with American specialized operators. The Company strategy aims, in the next years, to strengthen Solari Corp, believing into the American market and into the local human resources.